You bored with the usual, boring and old-fashioned ringtones and sounds? Now create your own ringtone! 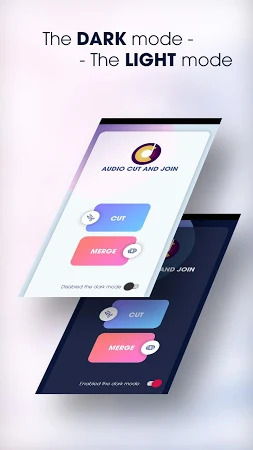 With Mp3 Cutter And Joiner, Crop Audio & Ringtone Maker you can: cut and join mp3 songs, mp3 ringtone cutter, mp3 audio merging song, split and join audio and convert audio format. 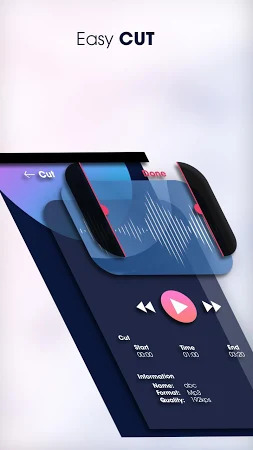 Get the installation package of Mp3 Cutter And Joiner, Crop Audio & Ringtone Maker 1.6 that is available for free and read users' reviews on Droid Informer. 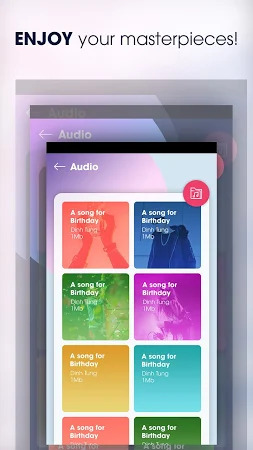 The app is developed for Android 4.4 and higher. This application is completely secure to download. The tool was originally developed by Video Editor - Music Editor and it belongs to the Music & Audio category. 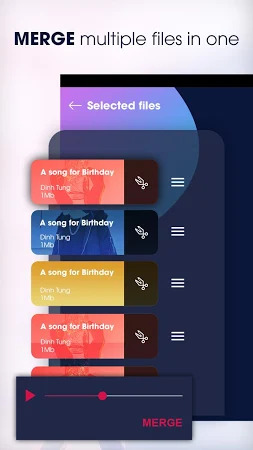 The developer rolled out a new version of Mp3 Cutter And Joiner, Crop Audio & Ringtone Maker on Apr 23, 2019 and over 100K users downloaded and installed the app. According to the latest data, this application is rated 3.3 on Google Play. Adverts are a part of the tool.